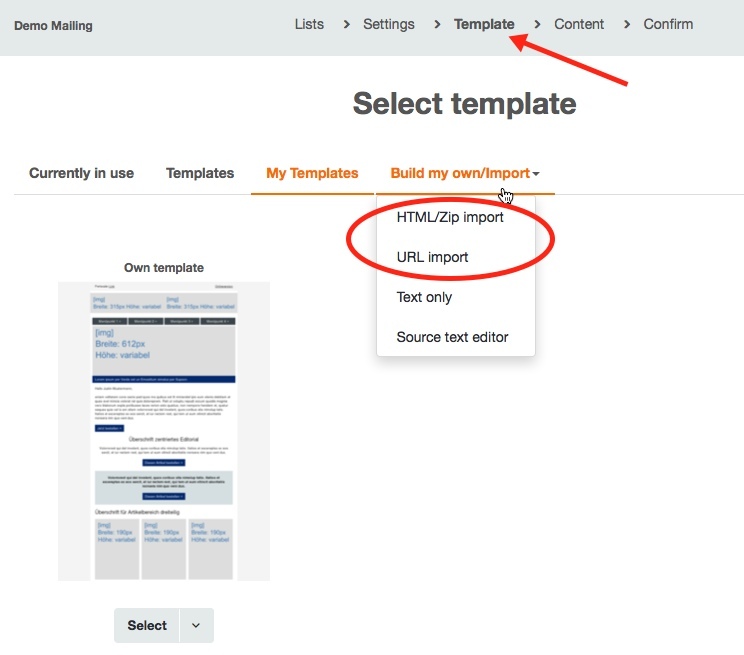 In CleverReach you can use your own custom templates. You can generally save them in the template administration or upload them during email creation. 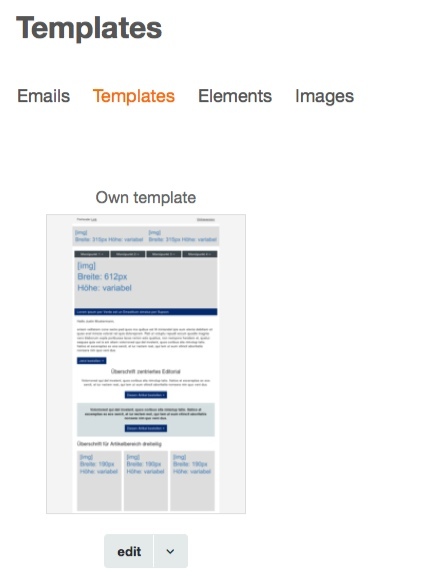 If you want to use custom templates in the Drag & Drop editor you need to use the CleverReach template technology. 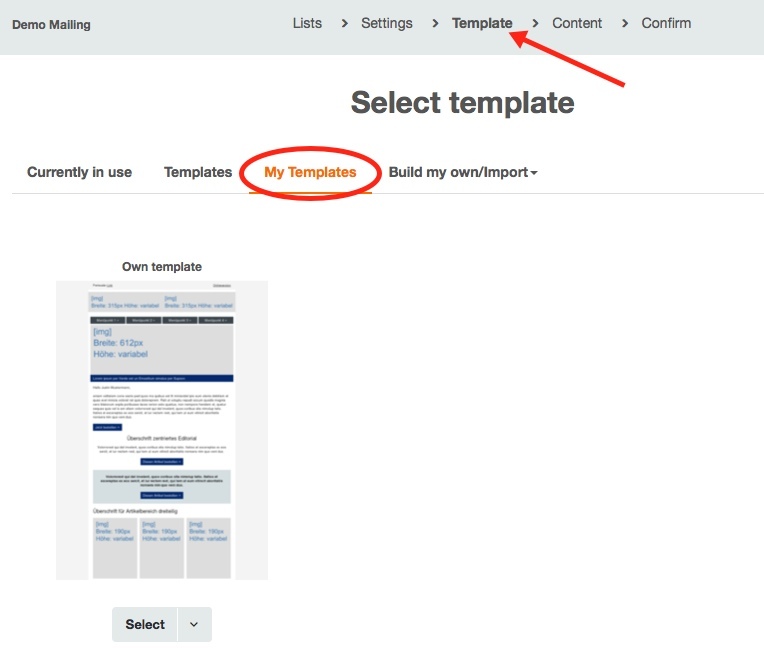 You can upload and manage your templates under [E-Mails] > [Templates]. These templates can be used whenever you create, edit and distribute an email. To upload a template click on [Add template], enter the respective data, select your template and upload it. After successful upload your template will be displayed with a small preview thumbnail. Here you can edit or even delete the template any time. When creating an email you can access your templates under the category [Templates]. As an alternative you can also upload an HTML file or a .zip file that contains an HTML file and images while creating an email. The email will be populated with the content from the first .html or .htm file within the .zip file. The HTML and image file(s) must be located in the main directory of the .zip file for the upload to work. Files that are stored in subdirectories will be ignored and not uploaded. Please make sure to use the .zip format when compressing files since other formats such as .rar are not supported. You can add these files as content to your emails either via URL import or data upload under the category [Templates] > [Build my own/Import]. On the following screen you can select which editor you want to use for email creation. If your template supports the CleverReach template technology you can choose between Drag & Drop Editor, HTML Editor or Source text editor. You can only upload templates that are based on HTML or HTM files. Do not use HTML templates that have been created and converted with external software (e.g. Coral Draw, Photoshop etc.). HTML that is converted with such software is likely to cause layout issues in certain email clients. Please note our general tips for creating emails and templates. Next to your own templates you can also add further elements to CleverReach. Find out how here. 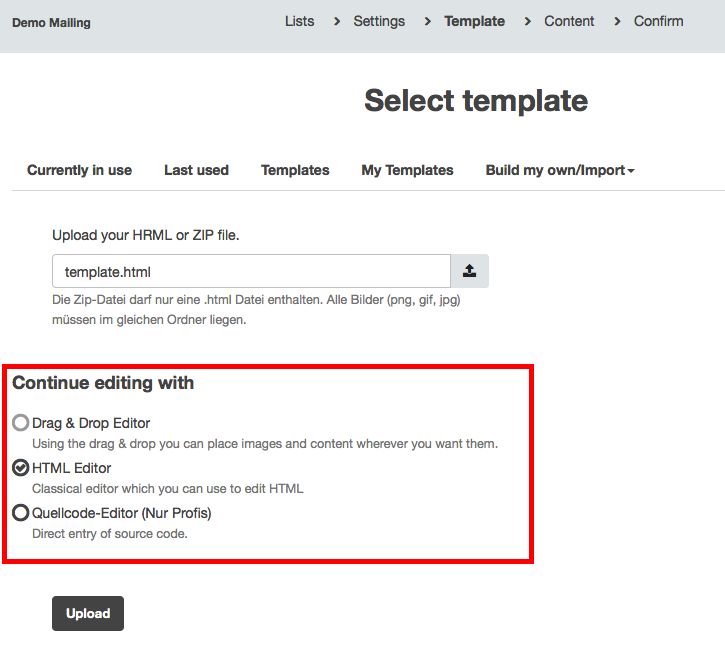 If you cannot select the Drag & Drop editor from within your template the template is probably not implemented correctly. Find more information on our template technology here.